Today’s most gorgeous site is a little bit unusual. 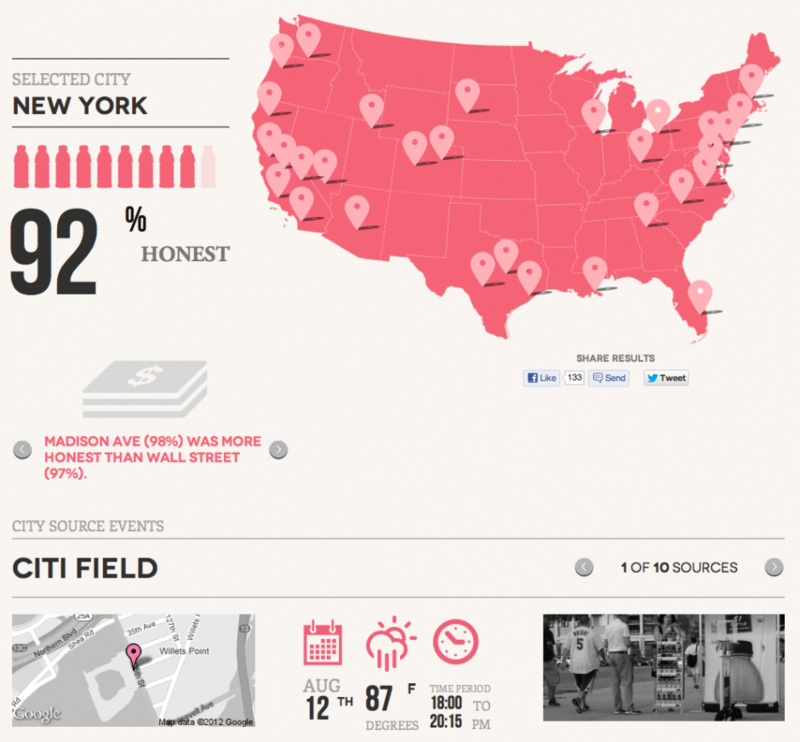 Brought to you by the Honest Tea brand, in a take on their name they decided to conduct an experiment to find out where the most honest people dwell and what categories they fall into. Is Madison Avenue more honest than Wall Street? Is Wall Street more honest than the folks on Capitol Hill? You can discover the non-scientific answers to these questions and more at this unique site. What makes it so unique? Well, the entire site is an interactive infographic, which I’ve never seen before that I can recall. I love to shop, but no longer read comic books. Can I trust those freaks that do?? 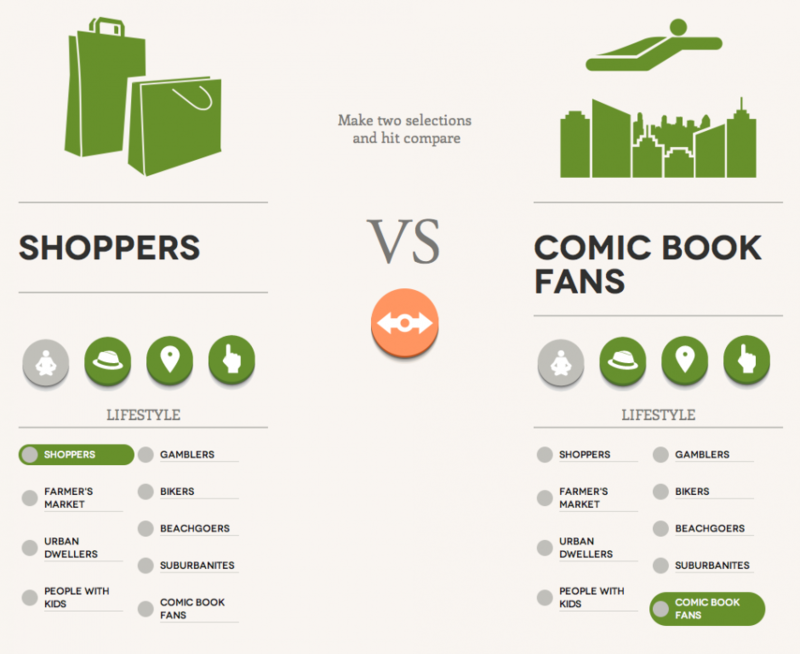 I can find out by customizing my selections… and sure enough, us shop-a-holics are 95% honest while comic book fans are only 86% honest! (To be fair, we blame ComicCon, who needs a much more festive site – that’s shocking.) Blondes vs brunettes, bikers vs bull-riding fans, suits vs beards… seemingly no eccentricity or personal preference is unexamined. Skip on over and play with the site if you have a few minutes. It’s really well done and we’d love to see more fun data presentation in this interactive, game-like format. But don’t believe those Orange Mango drinkers… everyone knows Moroccan Mint is the best flavor they have! I am very interested in this ZERO calorie Passion Fruit Green Tea also.